VCOG celebrated Sunshine Week, March 11-18, with a host of free events and a group of op-ed pieces distributed to news outlets across the state. On Monday the 12th, VCOG hosted a panel of reporters who shared how they used public records to report important news stories. On Friday, we hosted our second Pop-Up Sunshine Day, with presentations on transparency by Sen. Glen Sturtevant, Chad Stewart of the Commonwealth Institute, Tommie McNeil of Virginia Public Radio and more. We capped off the day with lunch and a showing of "All the President's Men." You can view videos from both these events from the "videos" tab on our Facebook page. VCOG held three free webinars, too, that are archived on our website. VCOG's Megan Rhyne and several VCOG board members and surrogates also penned op-ed columns. Those are linked on this page rounding up stories and editorials promoted during the week. Thanks to everyone who made Sunshine Week bright! VCOG submitted a letter to Governor Ralph Northam asking him to veto HB1 and SB512, which would prohibit the release of certain student directory information. The bills that came out of the conference committees at the end of the session were more restrictive than what VCOG was comfortable with. You can read the full text of the letter on VCOG's website. In the next several months, the Virginia Supreme Court will hear three FOIA cases: two stemming from public meetings and another having to do with access to public records. On April 19, the court will hear Bragg v. Board of Supervisors of Rappahannock County. In this case, a citizen alleged the board went into closed session on an improper matter. Because FOIA requires the plaintiff in a FOIA case to file "an affidavit showing good cause," the citizen in this case filed an "acknowledgement" by one of the board members saying they talked about things they shouldn't have. The plaintiff is asking the Supreme Court to reverse the trial court's decision that the acknowledgment was not a substitute for the affidavit. Later this year, the court will take up a case that has to do with whether the Smyth County Board of Supervisors violated the law's open meeting provisions when it met behind closed door to discuss whether to dissolve the Smyth-Bland Regional Library. The court will also take up a case from Virginia Beach where a local dentist sought attorney billing records related to the city's litigation against him in a land-use dispute. The city disclosed how much it had paid two outside law firms, but redacted details like the attorneys' hourly rates or how many hours they worked. VCOG will be submitting an amicus brief in support disclosing this information. The City of Williamsburg launched interactive text messaging customer service software, Citibot, to help citizens locate information and arrange for municipal services. Members of the Powhatan County Board of Supervisors argued in public over whether one of the members could criticize actions taken by an assistant county administrator on changes to the county subdivision code. Another member interrupted, saying the board had an understanding not to "flog our staff in public." The members then argued over whether the public had a right to know what staff was doing. The Roanoke Times tested the transparency of some of the agencies that license and monitor various professions in the Commonwealth. What they found was a wide disparity in how easy it was to get information on these professionals' qualifications or whether they had faced disciplinary actions. A study of school discipline records by the Bristol Herald Courier showed that while discipline actions are down, black and special-education students are disproportionately impacted. The Culpeper County School Board voted 5-2 against a member's motion to begin each school board meeting with a prayer or invocation instead of the current moment of silence. In voting against the motion, one member said she didn't think it would be a good use of taxpayer money since the move would likely be challenged in litigation. The City of Charlottesville agreed to release police operational plans from the Aug. 12 Unite the Right rally to two freelance journalists, but the Virginia State Police is still refusing to release similar records. An assistant attorney general representing the VSP said that releasing the records could endanger the public or law enforcement officers and could be used by "nefarious groups" to attack police at future events. In light of ongoing budget discussions and proposed tax increases in Pittsylvania County, the Star-Tribune filed a Freedom of Information Act request for salaries of all county employees. 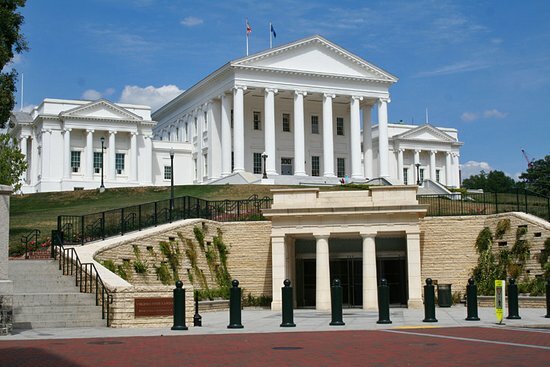 According to an analysis by the Virginia Public Access Project, the total number of bills defeated on unrecorded voice botes by both the House and Senate dropped from 55 percent in 2017 to less than 30 percent in 2018. Transparency Virginia first highlighted the large percentage of voice votes used to defeat bill in a 2015 report. The group will release another report, which counts bills committee by committee later this month. The City of Charlottesville will begin live-streaming its two monthly meetings on Facebook as part of a pilot program detailed by the new communications director, Brian Wheeler. At a March meeting, Wheeler gave a presentation on the live-streaming and other public engagement initiatives. The Chesterfield Board of Supervisors received dozens of identical letters challenging the lack of public information about a proposed industrial "megasite." In an email to the county administrator and board chair, one supervisor recognized that even though the letters were "chain email," the message "is sadly the truth." An email obtained by The Virginian-Pilot in response to a FOIA request showed the Virginia Beach city manager saying he didn't want to meet up with then-Transportation Secretary Aubrey Layne, who was demanding the city pay back money for a light rail project rejected by city voters and refusing to allow a requested street alignment, "cuz he's going to have to put a cotton ball up his nose after I punch him." A member of the Middletown Planning Commission asked the commission chair if members could be notified of developments that impact them before having to read about them in the newspaper. The member was referring to the resignation of another commission member, as well as a decision to cut the commission down from seven members to five. The Abingdon town attorney filed a motion to remove herself from a FOIA case against the town council, saying only members of a public body can hold a meeting and violate the meeting provisions of FOIA, not the body's attorney.